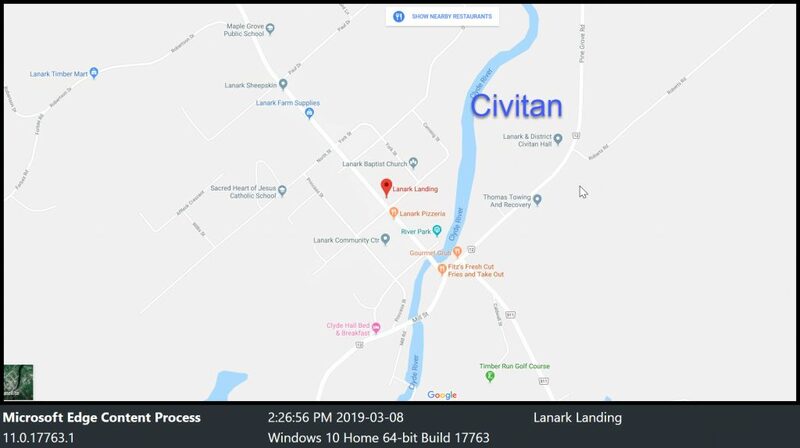 The Lanark and District Civitan Club is located at #2144 Pine Grove Road in Lanark Highlands just north east of Lanark Village. From Perth and points south east, take Highway 511 through Balderson to the T junction in Lanark Village, turn right onto South Steet which turns into Pine Grove Road. proceed to #2144 on the left. From Carleton Place and points north east, take Highway #7 to Ferguson Falls Road/CR 15, on the right (Church with blue cross on top). Turn right onto Ferguson Falls Road/CR15 and follow it around to Pine Grove Road/CR12 on the right. Turn right onto Pine Grove Road/CR 12 and follow it around to #2144 Pine Grove Road on the right. From McDonald’s Corner and points south west, take CR12 to Lanark Village, bare right on |South Street in Lanark Village and continue onto Pine Grove road, proceed to #2144 on the left. From Hopetown and points north west, proceed south east on Highway 511 through Lanark Village to the stop in front of the Scotia Bank building. Turn left on South Street and proceed on South Street onto Pine Grove Road to #2144 on the left.